"Excellent park, lovely hosts and good facilities. Facilities were clean and modern, and the area was peaceful and tranquil. We'll certainly be going back again next time we go to Paihia. Also - free wifi!" 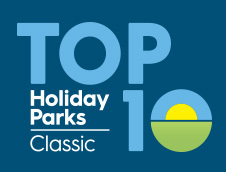 Make the most of your Bay of Islands holiday at Paihia TOP 10 Holiday Park. We provide everything that you need to create the perfect vacation getaway. From top-notch kitchen, laundry, and bathroom facilities, to a BBQ area, playground for the kids, and free wifi, we have you covered! • Open 7:00am - 10:30am, 5:30pm - 8:00pm. Hours may vary seasonally. • Learn more about The Galley. Explore activities in the Bay of Islands or check out our wide range of scenic accommodation options.